On Wednesday, May 29, 2013 from 8:30 A.M. to 4:30 P.M., I second chaired my first voir dire and trial for abuse of a family or household member with Deputy Prosecuting Attorney Rob Dawson in Family Court of the First Circuit located in Honolulu District Court building, courtroom 8C with Judge Catherine H. Remigio. Voir Dire is where the attorneys select the jury and for the trial, a conviction or acquittal is determined by the jury (jury trial). On Tuesday, May 28, 2013 from 8:30 A.M. to 1:00 P.M., I called my first trial week calendar for Domestic Violence Misdemeanor with Deputy Prosecuting Attorney Rob Dawson in Family Court of the First Circuit located in Honolulu District Court building, courtroom 8C with Judge Dean Ochiai. This is where cases are pled guilty, continued, dismissed, or set for trial. On Thursday, May 24, 2013 at 1:30 P.M., I attended my first Domestic Violence Misdemeanor status hearing with Deputy Prosecuting Attorney Chad Kumagai in Family Court of the First Circuit located in Honolulu District Court building, courtroom 8C with Judge Dean Ochiai. On Friday, May 24, 2013 from 6:00 P.M., I attended the Honolulu Japanese Junior Chamber of Commerce’s Nijikai at Bishop Museum, Great Lawn. It raised funds for the Hawaii Children’s Cancer Foundation. On Monday, May 20, 2013, I started typing my Writing Project #2 with 400+ words. 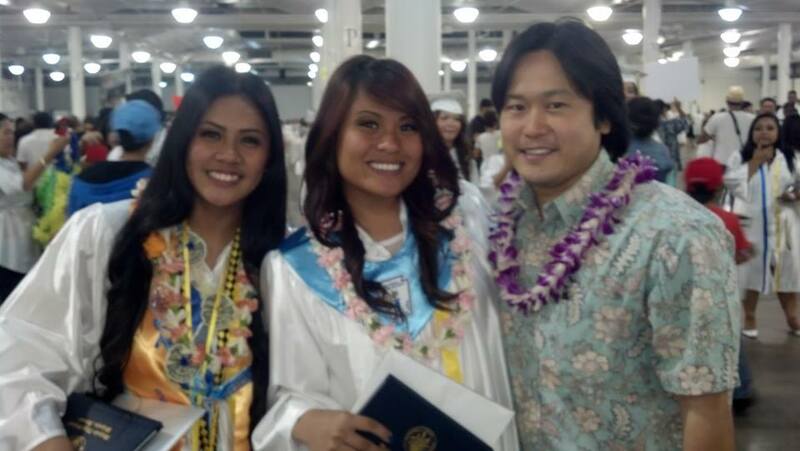 Congratulations Jenalyn and Sharmaine on graduating from Waipahu High School! Congratulations to Sharmaine and Jenalyn on their graduation from Waipahu High School! I met them when they were in the seventh grade at Waipahu Intermediate School. I first met Jenalyn when I was campaigning door-to-door while I was in the Hawaii State House of Representatives. They interviewed me a number of times on camera for their Olelo video production program. Later, I worked with them on a program we did on Olelo for a couple of years where we interviewed people involved in the community at various events. On Friday, May 17, 2013, I finished reading “The Notebook” by Nicholas Sparks. This book really got interesting for me in the last chapter.